House beautiful! As you walk in, experience pride of home ownership, elegance and enjoyment w/ guests and family! this home was totally renovated w/ spectacular rich hardwood floors, updated lighting, décor. breathtaking eat- in KIT, stainless steel appliances, gas cooking, huge walk in pantry, granite, top of the line back splash, maple cabinets, BR/den w/ door to the deck.3 bedrooms on the 2nd floor, MBR has a huge walkin closet and sliders to the balcony. updated electric service, , updated windows, doors, pretty front porch, firepit, beautiful stonework, roof- 3yrs. 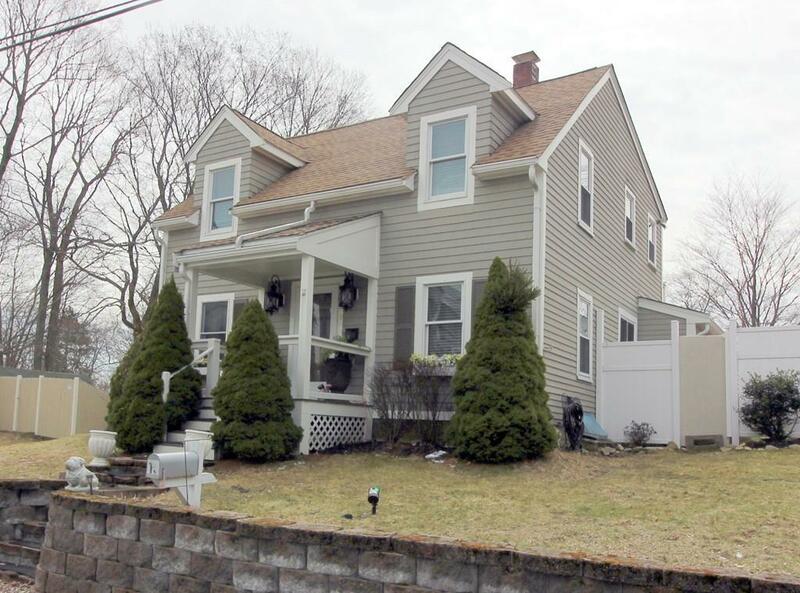 gas line to the house, fenced yard w/decks, patio., 2 sheds, Picturesque street, abuts historic tree lined, non active, civil wars era cemetery, walk to stores/ Rt 9/ train, close to all major roads/shops. A gem! move right in!